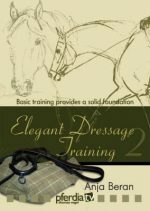 Training which is appropriate to the requirements of the horse or misunderstood dressage – is the training system in modern equestrianism on the wrong track? 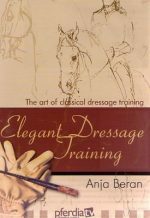 Anja Beran, one of the best-known representatives of classical dressage, answers this question in this multimedia presentation. 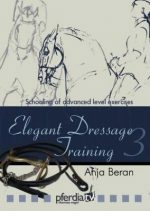 After years of observing the sport of dressage, Anja Beran opens viewers’ eyes. Analysis of impressive animations, created on the basis of real film recordings, contrast clearly undesirable developments with motion studies of horse-appropriate training. The theoretical foundations of this analysis are mainly provided by the guidelines for riding and driving of the Deutsche Reiterliche Vereinigung e.V. (FN), as well as the works of the Old Masters, on which they are based. Selected quotations illustrate the gulf between expectation and reality. What is rewarded a good score in the sport of dressage is no longer compatible with classical teachings and the guidelines! The problem lies in the system – horses are trained with spectacular performances in mind, rather than well-being and a long and healthy future. 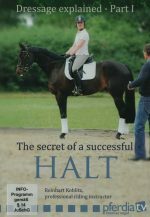 Many riders labour under the illusion that they can take shortcuts on the correct path of training, without stopping to think about the physical and psychological strain on the horse. Exaggerated movements, when forced in an incorrect posture, often lead to physical damage in young horses. The same also applies for older horses, who are expected to perform difficult exercises without the correct preparatory supplying work. Movement patterns are created that no longer have anything in common with horses’ natural gaits. 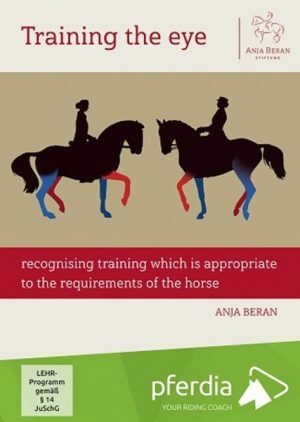 Anja Beran’s analysis is backed up from a veterinary medicine point of view by Elisabeth Albescu, a vet specialising in chiropractic treatment (A). A cinematic journey through time to the Old Masters shows exemplary riding as is only rarely experienced at dressage competitions today. This presentation is of great interest, not just for riders and trainers, but also for vets and osteopaths.